A widely accepted history of the breed dates back to the 1880s when Belgian Shepherds were classified as Continental Shepherd Dogs that included German, French and Dutch Shepherds. During that time, veterinary professor Adolphe Reul helped establish a set of standards that could be applied to a naturally occurring shepherd dog within the area that differed only in coat length and colour. The breed standard was established in 1892. A versatile breed, Belgian Shepherds originally used to herd and guard flocks as well as protect property and pull carts. Words such as "elegant", "alert", "athletic", and "agile" have been used to describe Belgian Shepherds. 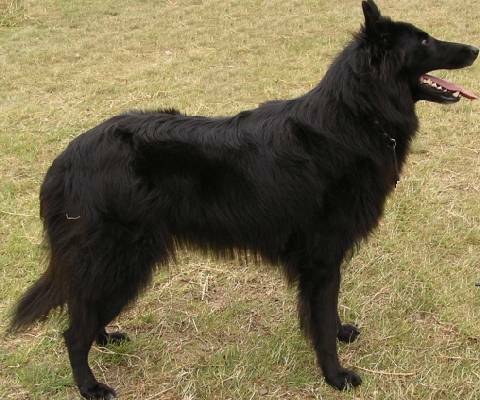 Laekenois (rough coat that is other than black with slight charcoal at muzzle Black can be present on muzzle and tail). Belgian Shepherds stand squarely and have fine, chiseled heads and should have an alert stance. 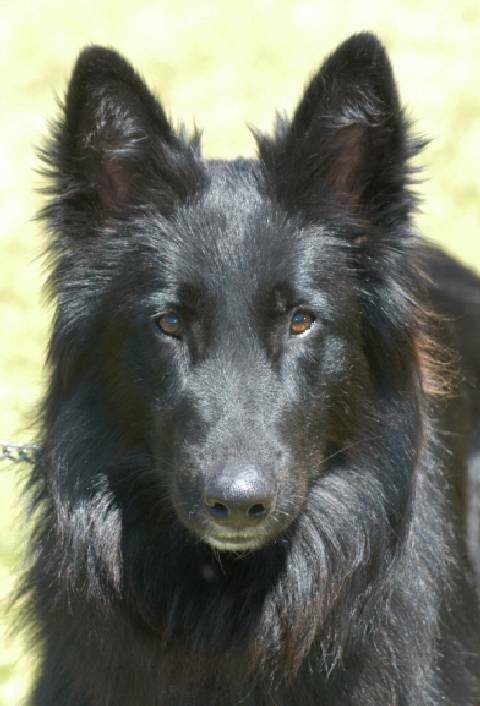 Unfailingly loyal, intelligent, energetic and protective, Belgian Shepherds, if socialised correctly from a young age, make valued members of any family that has the time to enjoy channeling their boundless energy into working disciplines, agility, or long walks. A dog that obeys his master is a pleasure to live with. 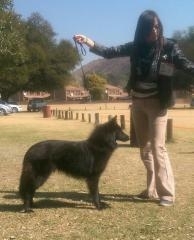 Folk that don't know the breed sometimes think these dogs are black alsatians. Brushing the coat of long haired dogs helps keep them looking clean. Get your puppy used to a brush from an early age. Puppies like to chew brushes (everything is a game) so you'll need lots of patience. Don't leave the brush on the ground where the puppies will pick it up.